So Cal Crawl Space Solutions is a family owned and operated wet basement and crawl space repair contractor company that is serving Santa Barbara and Ventura County, and Santa Clarita Valley. We are licensed, bonded and insured. Our mission is to go that extra mile in serving our customers' wet basement problems in California. We are committed to listening and responding to improve our customer relations and service. If you'd like a free written quote on your CA crawl space or basement with no obligation, call or e-mail us today! So Cal Crawl Space Solutions is a trusted and valued member of the Basement Systems network in California and upholds the standards of that company. We thoroughly train our employees at the Basement Systems Inc. corporate headquarters in Connecticut, and many of our basement waterproofing contractors have earned the "Certified Waterproofing Professional" title. The products and services provided by So Cal Crawl Space Solutions include crawl space encapsulation, crawl space vapor barriers, crawl space repair, crawl space vents and door covers, basement and crawl space dehumidifiers, french drain and drain tile innovations, sump pumps, backup sump pumps, battery backup sump pumps, basement waterproofing, and all other types of waterproofing and moisture control in CA. 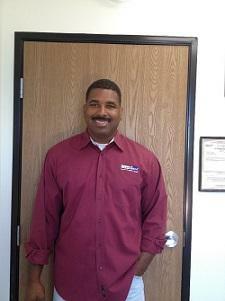 So Cal Crawl Space Solutions also features a branch of extermination experts named Clifton Pest Control. They can solve all of your pest problems including termite, bee, wasp, rat, flea, spider, ant and roach extermination. We serve California, including Camarillo, Canyon Country, Carpinteria, Casitas Springs, Castaic, Fillmore, Goleta, Granada Hills, La Conchita, Montecito, Moorpark, Newbury Park, Oak View, Ojai, Oxnard, Piru, Point Mugu, Port Hueneme, Santa Barbara, Santa Clarita, Santa Paula, Santa Rosa Valley, Saticoy, Saugus, Solvang, Somis, Stevenson Ranch, Summerland, Sylmar, Thousand Oaks, Valencia, Ventura, Westlake Village, and surrounding areas in CA. Our A+ Rating on the Better Business Bureau!